Crepe fabric with a beautiful satin side. 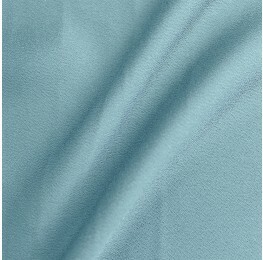 Polyester based crepe fabric with one side covered in satin. This unique fabric is a little thicker than the traditional crepe but is still lightweight enough to drape beautifully. Ideal for use in formal trousers and skirts.